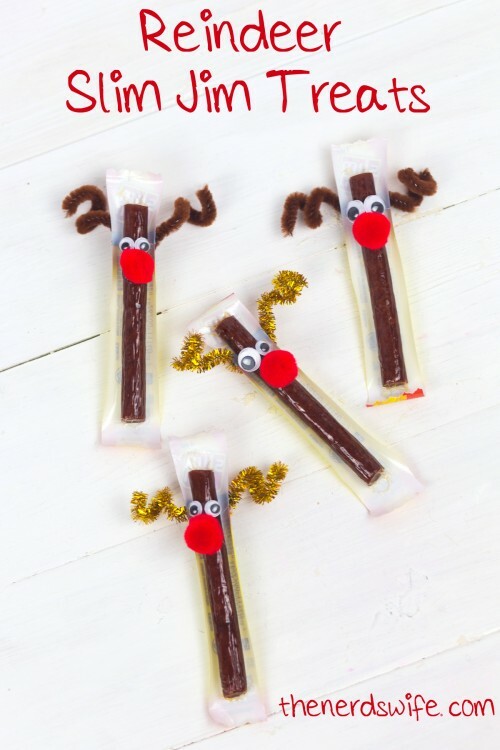 Reindeer Class Treats are super easy to make with just a few supplies! 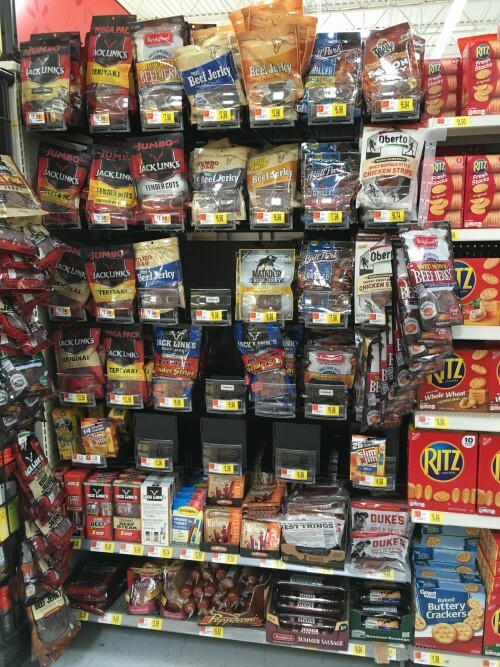 And if your school requires store-packaged snacks, these are perfect because we used Slim Jim snacks to make them! 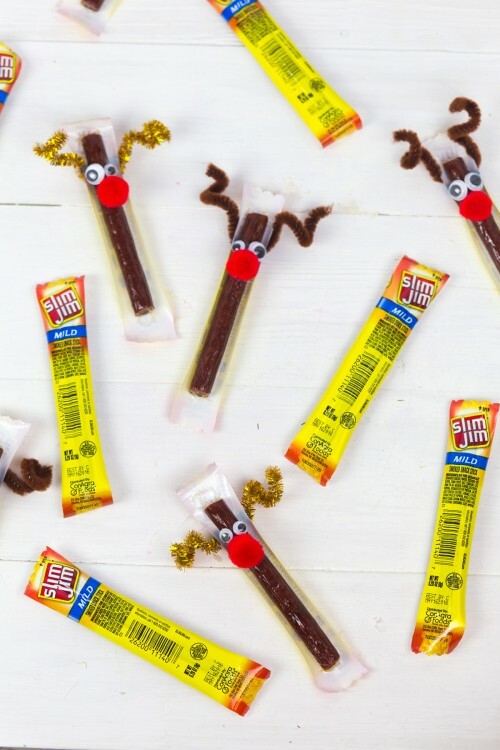 Slim Jim snacks have a bold, spicy taste that is a refreshing change from traditional salty and sweet snacks. 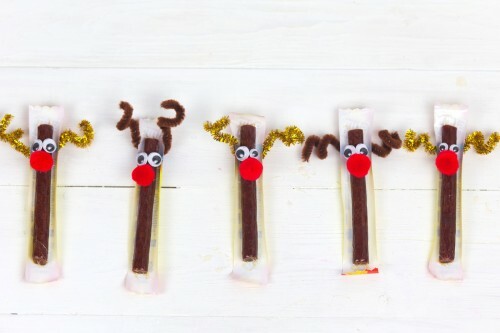 They’re a great alternative to traditional class holiday party treats that are full of sugar. I picked up the 26-pack of Slim Jim snacks at Walmart. It’s perfect for the holidays because you can use it for class parties, stocking stuffers, and more! Cut the pipe cleaners in half. 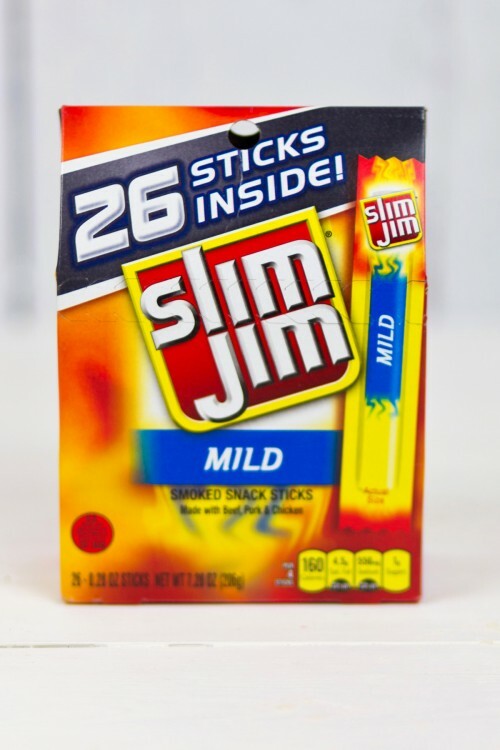 Bend one piece into a “v” shape and glue onto the label-side of a Slim Jim. Use your fingers to twist the ends of the pipe cleaner to look like antlers. 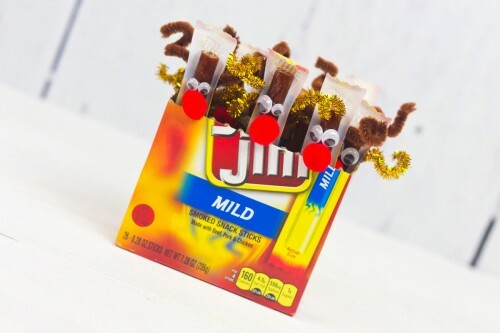 Use the glue gun to add eyes and a pom-pom nose to the brown part of the Slim Jim beneath the antlers. It’s that easy! Aren’t they cute?! What holiday treats are you making this year? Share them in the comments!